We recently got an opportunity to interview Matt Willis, a talented artist and an amazing performer. In past few years he has performed in more than 50 live shows and released 2 full length albums with Houston-based electronic band Provision. Both Albums were successful and highly appreciated. Now Matt has come up with his own solo endeavor “Transcendent 7”. And he has announced his first solo project “Now it’s My Turn”. Here is our conversation with him. Twist Online: First of all tell us about the start of your music career. Matt Willis : I would beat on pillows with wooden kitchen spoons or play air guitar with a broom as a child. But for me, it truly began at age 19. I began writing journals full of lyrics and I began to develop ambitions to create music. But, it wasn’t until later in my mid-twenties that I gained the financial wherewithal to start investing in synthesizers and software. I was also a freelance staff writer for various web-zines out there. I got to live out my affinity for electronic music by interviewing and writing reviews for electronic bands and artists. From there, my passion grew. If you have a dream, no matter how ridiculous it may seem. Pursue it with reckless abandon. I went from writing lyrics in my bedroom to opening for a flock of seagulls in just a few short years. Twist Online: Tell us about your childhood? What was it like for you growing up? How did music play a role in your life? Matt Willis: I was the young imaginative little boy in the back of the classroom staring off into space. A daydreamer. I don’t think anyone knew what to make of me. I can remember, at the age of 4, My life changed forever. There was a knock on the door. A man appeared claiming to be my real father. He decided after not being in the picture for 4 years that he would try to involve himself in my life. I really don’t think he considered or understood the ramifications of that. Up until that point I lived with my mother and my stepfather who were two loving parents. I remember them trying to explain to me everything as best they could but, I couldn’t help but feel alienated from my siblings and from everyone else. I looked different from them. My last name was different from theirs. I was skinny, clumsy and shy. I had a slew of developmental problems which thankfully would only last until puberty. I didn’t feel like I fit in at home and I didn’t feel like I fit in at school. So music provided the necessary escape and comfort. I learned later that I was born a couple of months prematurely likely due to my biological father beating up my mother a few times throughout her pregnancy. I did not understand why he would do such a thing and show such little regard for his then wife and his unborn child. This unfortunately did not translate very well into my teenage years. Music also played a big part in comforting me through the awkward years and the angst of adolescence. I enjoyed locking myself away in my room and listening to Lou Reed or Velvet Underground records. Later on in my youth, punk rock begin to grab my attention. Electronic music was always a huge part of my daily listening. Twist Online: So how did you get into electronic dance music? Matt Willis: In the early to mid-nineties I renewed my interest in bands like and bands like the Pet Shop Boys and Depeche Mode. That would later expand to a bit more obscure acts like Moev, Data, and Celebrate the Nun. By the mid-nineties, I had immersed myself in more of the true forms of alternative music such as Jesus and Mary Chain or Suede. My favorite show was MTV’s 120 Minutes. This was where I would learn about bands and then I would venture out to the music store to buy a cassette or CD. Despite listening to all kinds of music, my affinity for electronic music has never really left me. Twist Online : You performed in more than 50 live shows and released 2 full length album with Provision Band. Tell us about your experience during that period? Matt Willis : I really loved every minute of it. I gave everything I could to the band. I am proud of the work I did with them on the band’s last two albums. I am proud of the shows we did together. We owe it to the fans to give them a great show and we always did. The same goes for the album releases. I honestly think Provision’s best is yet to come. Look for great things from them. Twist Online : What inspired you to start your own solo endeavor Transcendent 7 and leaving the Provision band? Is a return possible? Matt Willis : The two answers are not mutually exclusive. I began working on my own material while still in Provision about a year or two before I left. In March of 2016, I decided it was best for me to leave the band at that time. I never left the band to pursue a solo career. It was going to happen rather i stayed in Provision or not. As far as returning to Provision, I have expressed a possible interest and have reached out to them. I would not say it will never happen but, we will have to wait and see. Twist Online : We’ve become familiar and have enjoyed your new single Now it’s My Turn. Tell us more information about the release? Matt Willis: It was released digitally on my 40th birthday July 27th, 2016. The physical CD release will follow exactly 8 months to the day. It is going to be released on February 27th, 2017. You can pre-order it on February 14th through splendidrecordings.com or the Transcendent 7 bandcamp page. Twist Online: Splendid Recordings seems to be a very fresh approach to the way labels do business these days. All though a new venture, it seems to be getting high praise from people in your respective music scene. Tell us how you came up with the idea. What made you start up the label? Matt Willis : I don’t really feel like it is a new concept at all. It is important to say that we are not so much a label as we are a small collective of artists. We are a network, a support system. It also gives bands a home for their music. Particularly the ones that are tired of all the typical label BS but, can get some of the same perks of being on a label. We don’t “sign” anyone. And never will. I think the biggest thing, is that the artist know I have no intentions of trying to profit from their work. From that perspective, that alone is very un-label-like. I know a lot of labels cannot operate from that angle otherwise, they will fold. I can. Simply because this is not a business. My livelihood is not contingent on any of this. So I am not just running around grabbing up just any band. There is a strategy involved. I have received a few inquiries from other bands wanting to join but for now, I intend to keep the circle small to allow Splendid Recordings to grow and develop. There are 3 bands that have been invited to join the collective. My focus is on helping these bands. They know we are in it together. We are all shareholders in this experience. I am learning as I go but, I am committed and i really care about their success. I am glad the bands have put their faith in me and I really feel that they like the upfront genuine approach I have with them. Matt Willis : that’s a very difficult question to answer because I really enjoy both. It is really great when you can do both regularly. There’s nothing like standing backstage just seconds before you’re about to go on. Just as there’s nothing like making a connection in the studio and clicking with your fellow musicians. I was very blessed and fortunate to experience both on many occasions. It never gets old. Twist Online: Can you share the process of songwriting with us? Are a lot of the songs about your personal experiences or observations of life? Matt Willis: I can try. It is at times hearing songs in my head. Waking up in the middle of the night to write down an idea or a thought. It can be frustrating and enjoyable at the same time. The best advice I’ve ever received was to never ignore the urge to write or ignore the ideas floating around in your head. Write them down. When you go out of your house every day, be observant. Take in the things around you. Absorb. Surround yourself with creative and positive people. These are just a few examples that come to mind. 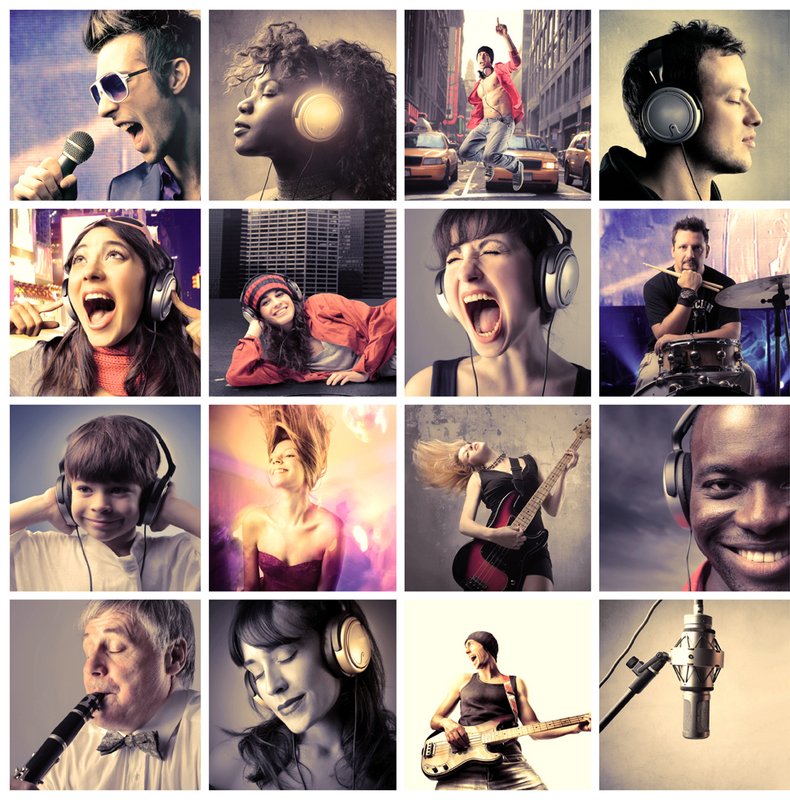 Twist Online : Are you influenced by any particular artists or music genre? Matt Willis : I am influenced by many musical genres. Obviously, I love electronic music in many forms. From Kraftwerk to Gary Numan, to synthpop and Latin freestyle. I love experimental sounds from bands like Cabaret Voltaire to Einstürzende Neubauten. I enjoy obscure alternative music from the 80’s and 90’s.Not the so-called alternative music they play on the radio these days. I see value in R&B music. I really loved the melody and hooks of the New Jack Swing Teddy Riley produced stuff. I love discovering new music and have been known to sit around with friends and talk about music for hours. Matt Willis : I could list a lot of elaborate goals and believe me, I have them. But the goal and the plan generally remain very simple for me. Wake up every day with the intent to create and give back in any way I can. Rather it be through music or through my life’s work and career. I believe I am on the earth to serve others and to use my talents for good things.